I had a friend who went to a 3-day music festival circa 1997. Having never been to such a thing before (and being only 16 at the time) his mom decided to pack him a load of food in a giant, hard case cool box. As adorable as that sounds, you can well imagine lugging that behemoth around a festival was actually the polar opposite of cool. Thankfully, we’ve come a long way since then. If only he had access to one of these babies, it might have saved his blushes – and a very sore arm. Here’s my review of the best cooler backpacks 2019. Below, you’ll also find a buying guide and FAQ section – in case you’re not up to speed on the latest chilling technology. Because warm beer on a hot day is just unacceptable. How Do Cooler Bags Actually Work? How Long Does a Cooler Keep Items Cold For? Do I Need to Clean My Cooler? Review: As far as budget choices go, this offering from OAGear is right up there with the very best. Which is no mean feat considering good coolers tend to be on the more expensive side. This design gives you loads of room, yet is still compact enough to not be too intrusive and great for multi-purpose use. 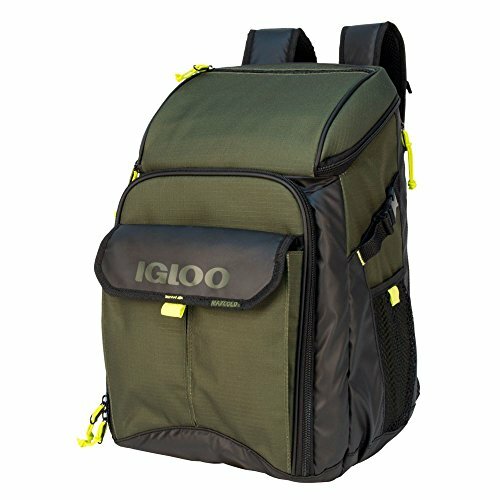 It’s undoubtedly the best backpack cooler for the money. Don’t expect it to last forever. Perfect if you’re a casual cooler user. If you want something a bit more heavy duty though, you should look elsewhere. Review: Is there anything Coleman can’t do when it comes to the great outdoors? This is another quality product from a name you can trust at an affordable price. It’s a nice, simple design with padded shoulder and hip straps, which they claim can hold up to 28 cans. 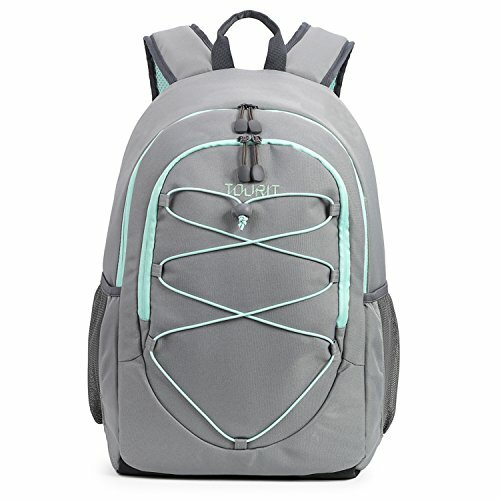 Their antimicrobial liner defends against mold, mildew and stinky odors – which can often be an issue with the type of lining cooler backpacks use. Great price for the brand. External webbing and mesh side pockets. Can’t tell it’s a cooler. Front internal pocket impossible to access if the pack is full. 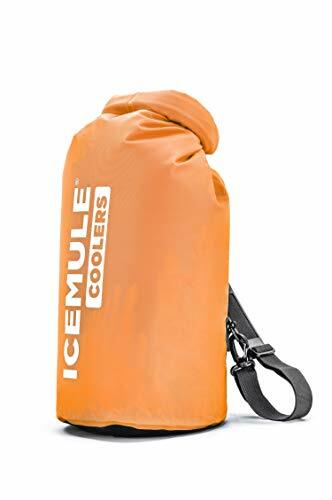 A solid option from a great name in outdoor equipment, the fact that you can’t tell it’s a cooler will be a real plus point for many punters. Review: The first of the Tourit coolers included in my list (which could have been a whole list of Tourit products – but that wouldn’t be fair). Based in Denver, they’re a US company specializing in this gear, and this is one of their more affordable offerings. Like the Coleman – you can’t tell it’s a cooler. Its leakproof interior ensures melted ice won’t become problematic, while externally it’s water resistant and durable. It’ll hold 28 cans, too. Zippers might not be the sturdiest. Another no-frills cooler that will do the job – just so long as it’s not expected to take a beating. Review: Anyone who’s been to a BBQ before will be no stranger to Igloo products – a U.S company that specializes in coolers of all shapes and sizes. 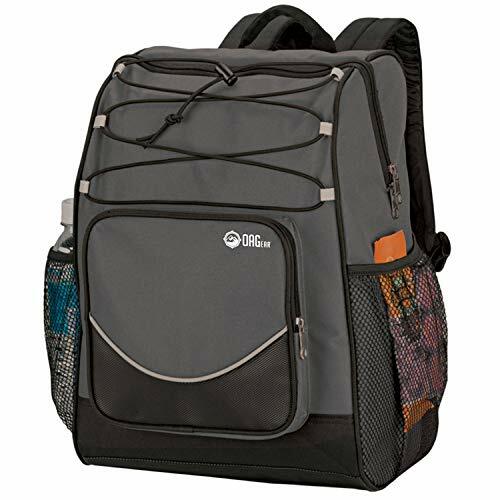 This model is a well-built and insulated offering, with padded shoulder straps, a sternum clip and that all-important leak resistant, antimicrobial liner. Side mesh pocket with strap buckle – handy if you’ve ever had anything fall out. Weight distribution could be a problem with heavy loads. A decent sized bag from the cooler specialists. It claims to hold a whopping 32 cans – so it could well be the best cooler backpack for beer out there. Review: Another Igloo entry is a definite step up, made from 600 denier polyester with a TPE Coating. This means it’s going to stand up to a bit more rugged wear and tear, as well as being water resistant. A really nice touch though is the backpack straps that can fold away and the durable, easy-carry handle. It’ll hold 28 cans in its practical design, and is generally a great, all-around option – especially because it won’t break the bank. Great cooler for the price. Multi-purpose handle and strap design. Not the most comfortable to wear. A cooler that looks like a cooler, but with the bonus of incorporating shoulder straps. 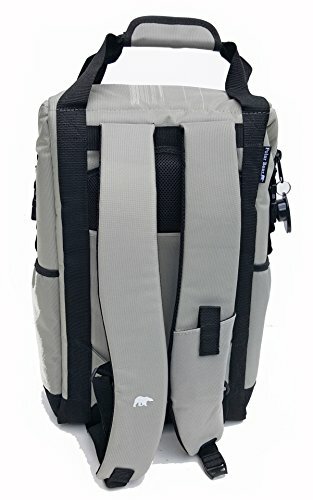 This would be perfect for a fishing trip, but maybe not the best backpack cooler for hiking. Review: I might be cheating on this one a little – as it’s technically not a backpack. However, you can still wear it on your back – slung over your shoulder. But this is definitely one of the most portable coolers around, right down to the fact that it’s 100% waterproof due to its zipperless design. Without a doubt, this is the best backpack cooler for the beach you’re likely to find. No seams or zippers – nothing will get in or out unless you want it to. Choice of colors and sizes. Not suitable for longer treks. Review: Now, here’s something a little bit different – but hear me out. This isn’t strictly a “cooler backpack.” It’s more a backpack that has a cooler compartment as a bonus. 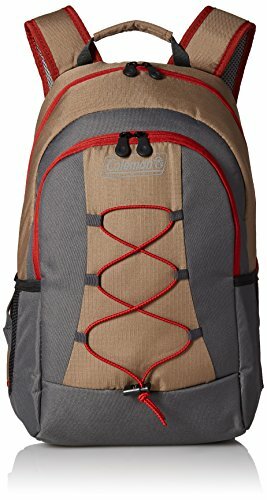 That being said, if you need a backpack for just about anything else (school/work/hiking/etc) AND you need a section to keep your sandwiches chilled – then look no further. It won’t hold 28 beers (at least not in the insulated pocket) but it will do just about everything else. Loads of compartments and features. Weird mantra written on the back (possibly removable). While not specifically a cooler, this bit of kit could easily make it onto a list of the best carry-on backpacks. It’s durable, practical and waterproof with the cooler option. I can’t really fault it. Those superfluous words on the back are a bit odd, though. 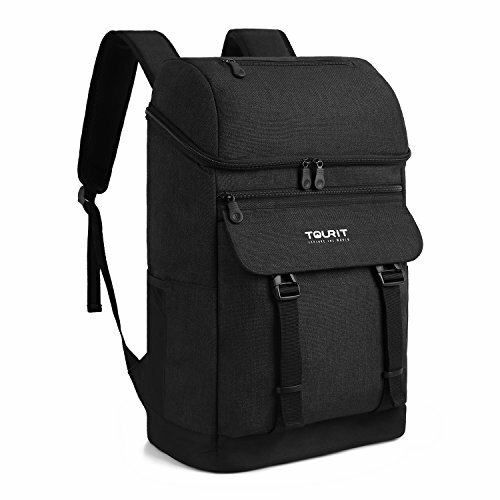 Review: Another Tourit entry, this is a large capacity backpack, offering 22 liters of space. Its durable, water-resistant exterior and leak-proof interior will ensure things don’t spoil. 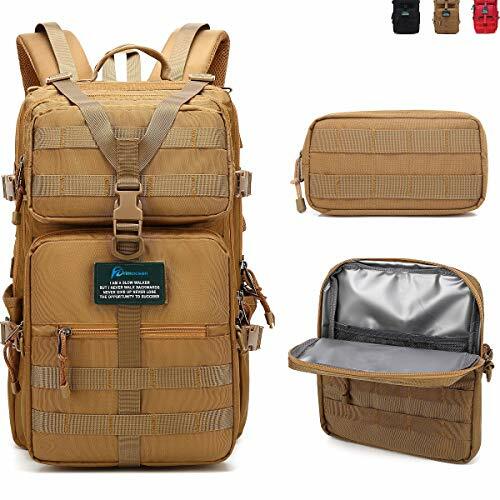 It’s a super smart and simple design with multiple pockets and is one of the all-around best cooler backpacks 2019. Beer opener (shut up and take my money). It’s not really that exciting. As coolers go – this is one of the best. It’s no-nonsense, but some people might prefer something with a bit more flair. Review: There are loads of practical things going on in this design, which is just perfect for picnics, road trips, and tours. 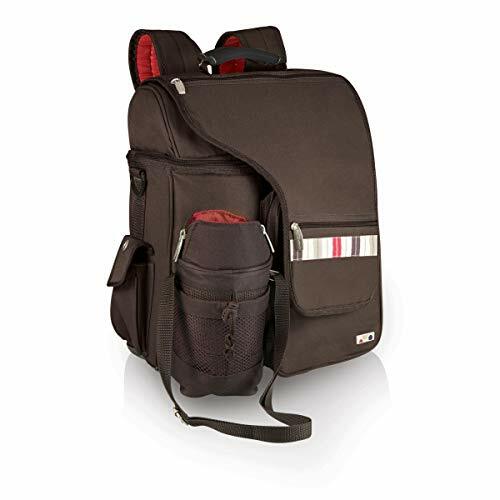 Its surprisingly roomy considering it packs a lot of features, including multiple pockets, insulated bottle holders and hidden, zippered compartments. This is the kind of gear that goes really well with portable coffee makers and other make-life-easy camping gadgets. Loads of pockets and features. Might look too strange for some. Not great for loads of beer. A terrific option for glamping (posh camping) having in the car or for day trips. Its funky design will put some people off, though. Review: I feel I always need to include something like this just to mix things up a bit. You have to admit – this looks pretty sweet. 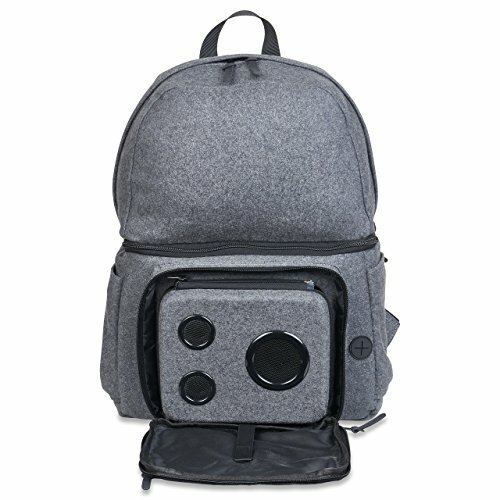 A cooler backpack with a built-in Bluetooth speaker, subwoofer and power bank. It won’t be for everyone, but turning up to the beach or party packing one of these will surely endear you to anyone within earshot who also fancies a cold one. Lighter and more portable than bulkier coolers. Insulation not as good as dedicated products. If you like cold beers and good tunes – this pack might just be for you. But it won’t be the best insulated backpack cooler out there, that’s for sure. Review: Polar Bear have been making coolers since 2000 and they are experts in the field. This is one of the best cooler backpacks out there. It’s super rugged with 840-Denier double coated TPE nylon – which basically means it’s built to last and take whatever you throw at it. Remember – it’s not always about keeping thing cool, and this gear will keep your food hot too – great when combined with camping cookware. They even claim that the interior lining is bulletproof! A durable as they come. Insulation and leak-proof interior is outstanding. Not suitable for carrying anything else. You came looking for an amazing cooler – and you’ve found one. It’s not practical for any other use though. But when it keeps your beers ice cold and should last a lifetime – who really cares?! Review: I’m always excited to review a YETI product – because they really are the best in the business at what they do. 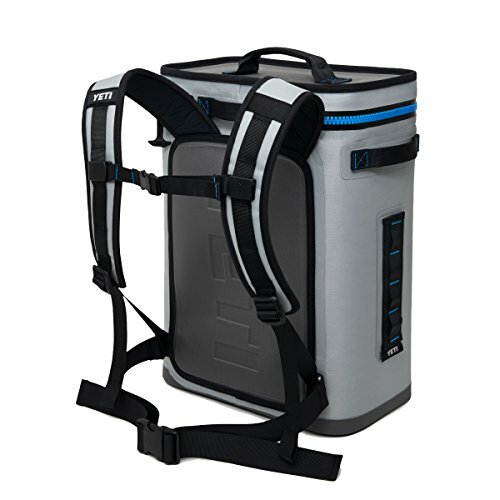 This is an outstanding piece of kit, large enough to fit stacks of food and drinks, at the same time being built like a tank with the finest insulation a backpack cooler could offer. These guys are at the top of the product food chain – but the downside is – they’re exorbitantly (over)priced. Bulky – like carrying a fridge on your back. You’ll choke on your beer when you see the price. If you’re not on a budget, YETI are worth the premium. This is probably the best backpack cooler around. But even without the eye-watering fee, it won’t be for everybody. Best for people who spend a lot of time outdoors and will seriously put it through its paces to get their money’s worth. Cooler bag tech has changed over the years, and we’re now able to keep things chilled for longer while we’re on the go. Here’s a handy guide to some of the important stuff you might find useful to know while making your choice, and what you should be looking out for while you’re doing so. Probably the most important consideration is how is the bag insulated? Ice chests used to be made from metal, then plastic with some kind of foam insulation between the walls. You can try and make your own by using styrofoam – but it breaks easily unless it’s very thick. As far as portable coolers go, carrying a thick, rigid box around isn’t that practical. So, these days, the bags you see here are usually lined with a special type of foil. Between that and the outside layer, will be a flexible foam. We’ve developed better, more efficient insulation materials down the years, but generally speaking, the thicker the lining, the more likely it will keep the heat out or in – depending on what you’re looking for. As mentioned above, flexible foam and lining materials mean that manufacturers can create a variety of shapes and sizes when it comes to cool bags. We no longer have to stick to the rigidity of cool chests (the kind like my friend took to the music festival). So, you’ve pretty much got a selection headache for choosing the right size and weight of bag for your requirements. How much a cooler can pack in is very important. While you can find the size and weight dimensions in each product description, it’s sometimes easier to understand how many 12 oz cans the cooler is capable of holding. If you’re a solo kayaker, you’re obviously going to have different needs to a group of ten frat boys heading to the beach. Aside from the inner linings of the cooler, you need to understand what is going on outside, too. Most decent bags will generally be built to last, but you obviously still get what you pay for. Some bags are water-resistant while some are water-proof. It’s important to understand and recognize the difference. And the higher the denier number of the fabric, the tougher and more durable it will be. Again, make sure you’re buying the cooler bag that’s suitable for whatever activity you intend on doing. Just because you can wear it on your back doesn’t necessarily mean it’s going to be comfortable and enjoyable user experience. Like all backpacks, you need to check to see if the shoulder straps aren’t going to tear your arms off, particularly if you’re packing a heavy load of suds. Does the pack come with a waist belt or sternum clasp? Both are useful features for weight distribution and to keep you balanced and comfortable. And then there’s the actual overall portability of the product. Some cooler backpacks, while still including shoulder straps, are going to be just too cumbersome and bulky for a long hike – perhaps more suitable used in conjunction with a vehicle or close to home. It’s handy to have extra features too, especially if you want a little more bang for your buck. …even Bluetooth speakers, subwoofers and power banks. While much of this can be useful, just make sure you’re not spending money on stuff you don’t really need. As with most things in life, money has to be parted with in order to get the gold standard. Good stuff isn’t cheap, and cheap stuff isn’t good. Once again, I’d always advise you to buy the best you can afford. That being said, there are bargains to be had – like the two or three choices at the budget end of the spectrum on this list. But if you want something that’s going to last AND do the job like a champ – then you need to part with considerably more of your hard-earned cash for the privilege. A very good question. Some people might be of the opinion that all you have to do is put your chilled produce in the bag and it keeps it cool like a fridge. This, unfortunately, is not the case. The bags work by keeping the contents insulated (as explained above) but you need to include ice packs or bags of ice inside. You might notice that some bags have a leak-proof interior, and manufacturers encourage you to fill with ice directly. Other bags suggest pre-frozen ice packs you freeze at home. Obviously, both of these devices are going to take up room themselves, so you need to know how much you can fit in the cooler, all-inclusive. Remember to leave space for the ice! Either way, make sure your cooler isn’t going to turn into a soggy, damp mess when everything eventually melts. How long your produce stays cold is entirely determined by how cold the items are to begin with, the quality of your cool bag’s insulation, the amount of ice/cold packs you include and the temperature outside the bag. Constantly opening and closing the bag will also result in an increase of temperature inside. And remember – refrigerated food will start to spoil very quickly in a warm environment, and enter the “danger zone” for production of potentially harmful bacteria. To maximize your cooler’s efficiency, keep it chilled before use. Fill it with quality ice packs (which will be lighter than simply freezing water) and wait until the very last minute to load with your chosen items. Try and keep it in the shade – or if it’s waterproof, in cool water. With a decent quality product, it should keep your stuff chilled for a good 5-6 hours at least. Ice packs also have the potential to leak or burst – so keep an eye on that. After each use, clean your cooler inside and out with a mild detergent and warm water, and leave it out to dry thoroughly. You don’t want those nasty cooler bag smells you hear so much about. There we have it. 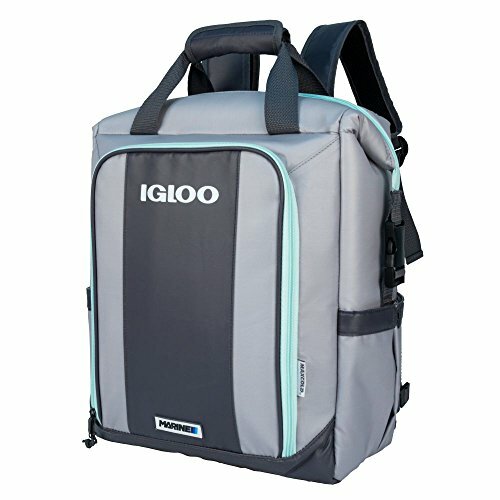 I hope this guide has helped you make an informed decision on the best cooler backpack for you. While you’re here, you should also check out my eBook on travel safety. It’s packed full of information for keeping yourself protected while out there on the road. Stay safe and stay cool, amigos.